Embrace the true spirit of Boston, from Red Sox baseball at Fenway Park to boat tours on the Charles River. Explore the leafy campuses of Boston University and Harvard. Immerse yourself in American history on the Freedom Trail. Indulge in fresh seafood along the waterfront, or explore legendary attractions like Boston Commons and the Museum of Science. When you ask what to do in Boston, the answer is everything. And Hotel Boston is in the center of it all. Home of the Boston Red Sox, this iconic ballpark is as legendary as the team itself. Grab your glove, take your seat and get ready for action and the Green Monster. The Museum of Fine Arts of Boston, Massachusetts, is one of most popular attractions in New England. It contains more than 450,000 works of art, making the museum one of the most exciting collections in the Americas. Collegiate men's ice hockey, youth hockey, concerts and family events wait to entertain young and old alike at this venue in the heart of the Boston University campus. Boston College has the distinction of being the oldest college in Boston. Tour the campus and experience the centuries of history coexisting with modern education. 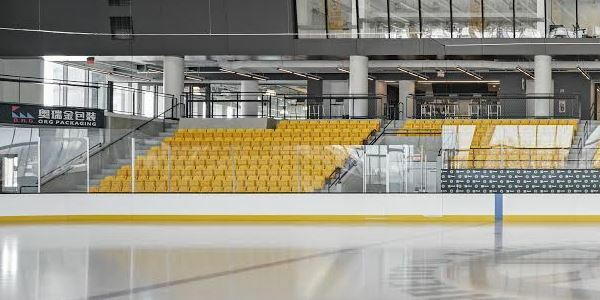 Skate where Boston Bruins practice at Boston's state-of-the-art ice skating and hockey destination. The arena offers public skating and hockey, adult hockey leagues, tournaments, lessons and clinics. Founded in 1839, Boston University is a leading private research university in the heart of Boston. Visit and learn why more than 33,000 students study here each year. Tour Boston by land and sea in a WWII amphibious landing vehicle. Experience the city in a different way, with conDUCKtors who share cool information during the tour. Walk into history on the Freedom Trail, where a 2.5 mile, red-lined route will take you to 16 historically significant sites from the American Revolution. Every step tells a story. No trip to Boston would be complete without a visit to one of the world's most famous universities. Founded in 1636, Harvard is an integral part of American history. 24 acres of paths and flower beds provide a calming respite in the heart of Boston. Next to Boston Commons, the nation's first botanical gardens has welcomed visitors since 1859.